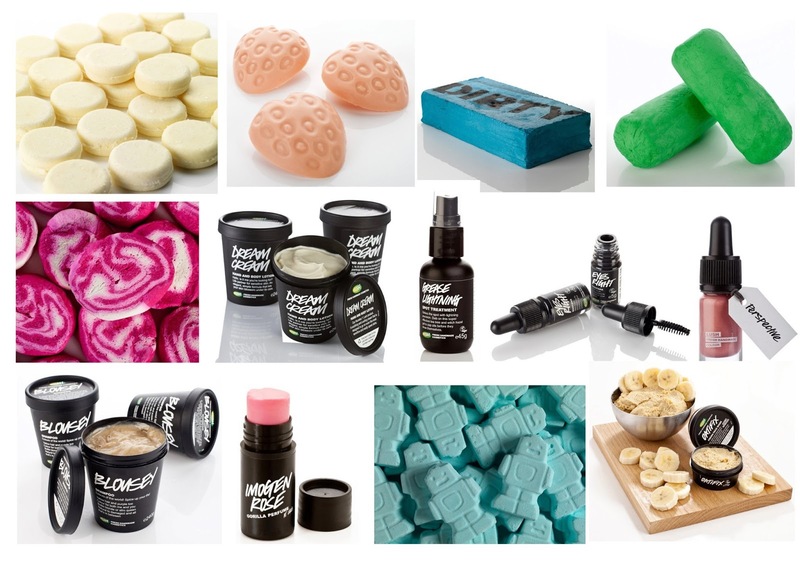 I love cosmetics and things that smell and look pretty so of course my favourite place to shop for these things is Lush. The main reason I shop here is because all their ingredients are great for sensitive skin like mine. I've found that a lot of the high street and high end cosmetics can make my skin dry, red and blotchy and flare up my eczema. Ultimate Shine Solid Shampoo - I love this product. It makes my hair shiny, soft and better yet it doesn't make any hair dye run at all. Trying to explain to my aunt how the solid shampoo looks like soap but lathers as much as shampoo does was hilarious and the fact this product lasts me several months is a bonus too! Strawberry Feels Forever Massage Bar - My favourite of them all. It's a retro product now so I can only get it online but it smells so fruity and dreamy that it's worth the wait. Dirty Soap - This is Scott's favourite. Well the whole range is his favourite but this in particular. The refreshing minty smell is great for men and women alike. The Comforter Bubble Bar - My perfect time out indulgence. You can normally find me in a mountain of bubbles with a good book and the radio on to drown out the sound of the football on the weekends. Dream Cream - This stuff is amazing. It's a moisturiser that seems to combat my dry eczema patches within a few days whilst still smelling great. Unlike over the counter or prescribed products, this isn't packed with steroids and things that you can't even pronounce properly. Grease Lightning - I have the skin of a 14 year old riddled with acne. Well not quite but even at 22 I still have breakouts as if I were going through puberty. This magic potion whisks away the spots quicker than Danny and Sandy flew away in Grease. Eyes Right - Carrying on with my skin that hates a fair amount of beauty products I come to Eyes Right. This mascara, despite being tiny creates a lovely coverage without leaving me itching my eyes. I've had to use a wand from another mascara though as the one that comes with this leaves you poking your eye's out whilst applying it! Perspective Lipstick - I am rubbish with lipstick. I normally find that I've wiped it off within the first few minutes so I normally stick to lip stains. This however is kept for those special occasions when I want to cover the Mr in big smoochy kisses. It's a tiny bottle again but the pigmentation is so rich that you hardly need to reapply. Blousey Shampoo - I use this as an intensive hair mask in the weeks after colouring my hair. It leaves it feeling soft and luxurious even after applying loads of colour onto my superfine locks. Imogen Rose Solid Perfume - packaged in a tiny container this solid perfume is great to tuck into my handbag so I can top up the scent every now and again. That's not to say it wears off fast as I've found the smell seems to last longer than when I spray other scents on. Ickle Baby Bot - We use this most bath times for Max without fail. It calms him down and relaxes him in time for our bedtime routine. The beautiful blue colour and lavender smell is perfect to take him to the land of nod. Oatifix - I love this when I have a massive breakout as it revitalises my skin and leaves it feeling not only smelling great but looking great too.